Displays the fonts installed in your computer. You can test out different text and see the results ajax style. 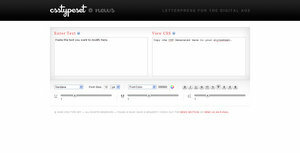 Font Tester is a free online font comparison tool. 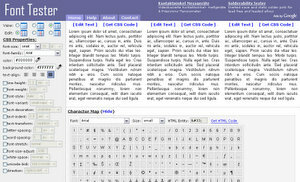 It allows you to visually compare fonts side by side with different CSS font styles applied. 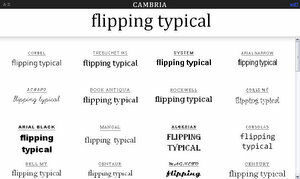 CSS Type Set is a hands-on typography tool allowing designers and developers to interactively test and learn how to style their web content.